If you have small kids, here is a nice toy deal to check out. 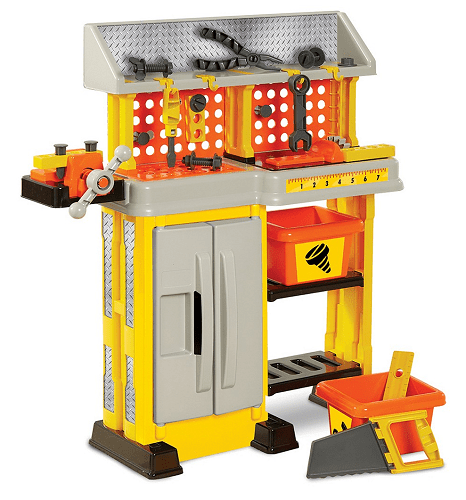 Macy’s is offering this First Impressions Little Builder Workbench Playset for $35.99! That is down from the normal price of $126, for a 71% savings. Right now they are offering free shipping on orders of $75 or more. First impressions 15 piece pretend play workbench with over 28 of play surface. Comes with tools and accessories for a great play experience.